Do You Want Success or Significance? There is a story about a man who spent his life chasing success. He ran as hard and as fast as he could and surpassed every milestone that he set for himself. Even though each goal required more effort, more energy, and more time, he was making more money and was able to acquire more homes, more cars, & more toys. He felt successful. However, the more ‘things’ he acquired, the fewer meaningful relationships he had in his life. His wife now spent most of her time in one of their 5 homes, funny how it always seemed to be the one he wasn’t in. His adult-children never returned his calls or came to visit anymore,funny … there was always some reason they couldn’t make it home for the holidays so he could see his grand kids. He knew he had grand kids … he just couldn’t remember all of their names or exactly how many of them there were! But he felt successful! Sometimes people confuse success with significance, they accumulate and count all the things that don’t matter and lose sight of the few things that really do. What would you do if your doctor called you today and told you that you had 2 months to live? What would you do differently? How would you spend your time? Who would you spend your last 60 days on earth with? 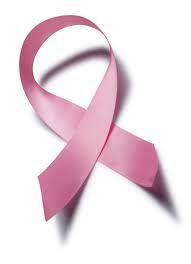 This past week I heard about two women who were diagnosed with breast cancer. One of them was told she had a 50% chance of survival. Why does it take a significant life altering story to remind us that both success and life are fleeting. We won’t be remembered by the titles we acquire, after all who was the 12th president of the United States? I don’t remember either! We won’t be remembered for how much money we left in the bank. Our legacy only lives beyond us in the lives of the people we helped. You have a choice today … you can choose success … or you can choose significance … choose wisely! P.S. October is National Breast Cancer Awareness Month and it’s almost over. If you are successful here’s a chance to do something of significance. Please make a donation to help save lives here: Susan G. Komen Foundation to find a cure. PreviousPrevious post:The Truth About Effort & Self-WorthNextNext post:Forgiveness: Elephants Do Forget!